Simply called Night, this contemporary small seconds watch is designed to be the perfect companion to a tuxedo at a gala dinner. The watch comes in five different variations with black or night blue dials, solid gold hour markers and matching alligator leather straps. Elegant and discrete, the hours and minutes hands are in a varnished tone-on-tone color displayed on a matt dial background. 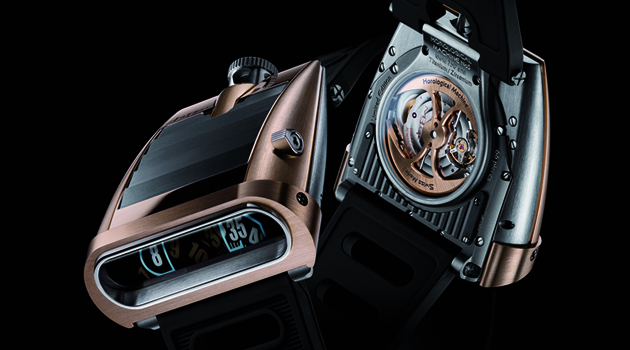 The small seconds dial comes in steel or tone-on-tone color. 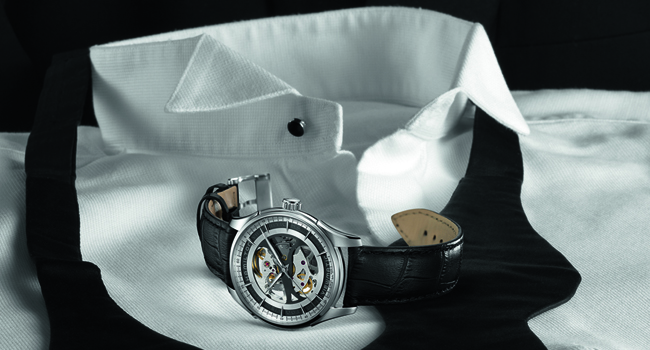 The stainless steel case features a transparent case back that reveals a 16½ lines manually wound engraved UNITAS caliber. The watch comes with a black travel pouch. Stainless steel case with night blue matt dial, varnished night blue hours and minutes hands and steel small seconds hand and dial. Stainless steel case with night blue matt dial, varnished night blue hours and minutes hands and night blue small seconds hand and dial. 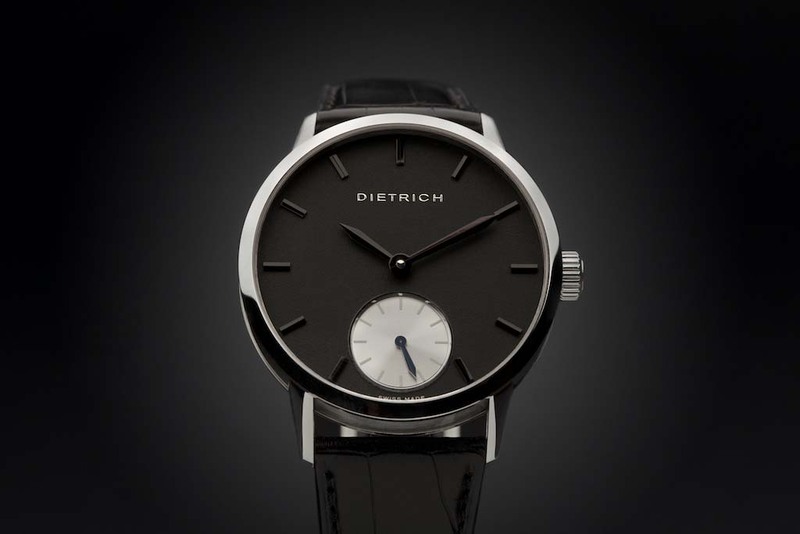 Stainless steel case with black matt dial, varnished black hours and minutes hands and steel small seconds hand and dial. 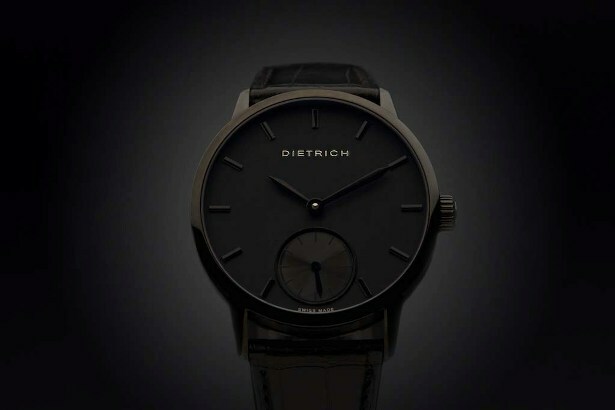 Stainless steel case with black matt dial, varnished black hours and minutes hands and black small seconds hand and dial. Black PVD stainless steel case with black matt dial, varnished black hours and minutes hands and black small seconds hand and dial. Born in the watchmaking town of Besançon, Emmanuel Dietrich graduated from the École Boulle in Paris and decided to launch his eponymous brand in 2011. Prior to that, Dietrich worked as a freelance designer for more than twenty years – in particular, for prestigious design brands and luxury houses. 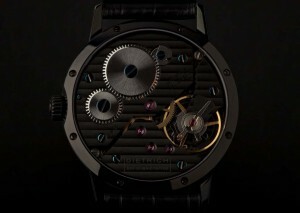 He has begun to build his personal creative universe with a collection of men’s watches and women’s fine jewelry. 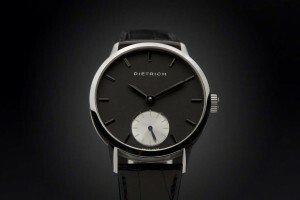 DIETRICH was at BASELWORLD 2012.